Every spring, that urge to go out and enjoy the outdoors comes around; enjoying an afternoon at the park, playing sports, sitting in a nice cafe or even a little bit of shopping. 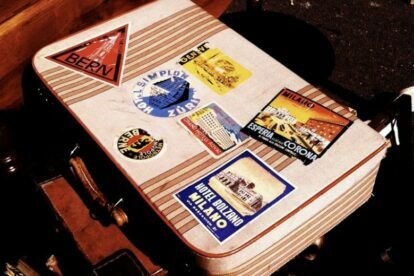 And there’s nothing like a flea market to find cheap and unusual items or to haggle around. But we can also agree that flea markets can become over-saturated and unpleasant to visit when they’re too big or well-known. At Spotted by Locals our Spotters try to show you that there are still some new or unique markets to discover just before they become too touristy. 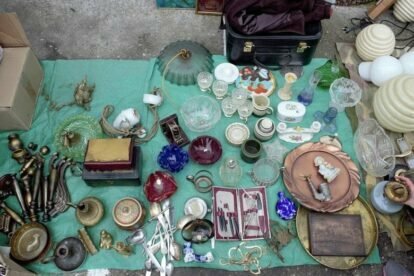 Here is a list of our favorite flea markets to visit right now! 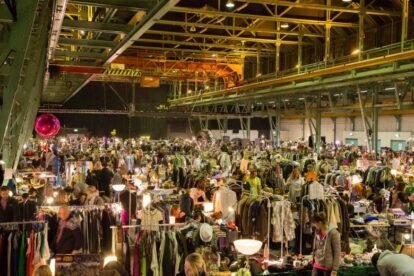 This is the place to go if you want a bit of an artistic vibe to your flea market visit. 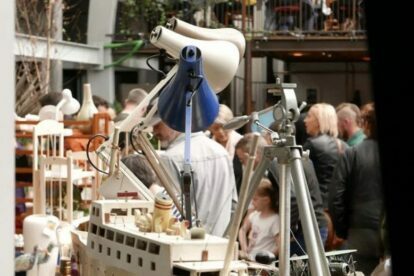 The Glasgow Markets organizes a flea market every last Sunday of the month (check out Facebook for more info) right in the middle of an artistic hub. Apart from the unique market finds, the stunning setting alone is worth a visit. The Feriköy area has been the home for Istanbul’s Greek and Armenian residents. 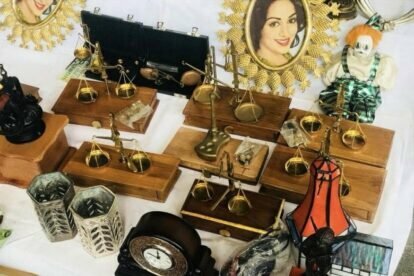 This flea market takes place every Sunday and is usually crowded at its entrance as people are looking forward to some gözleme being sold there. Right in this area, replacing this flea market every Saturday, is an organic farmer’s market. This flea market is based in the historical Marollen district and has been active since 1873 – so it’s basically 150 years old by now. Most of the items that can be found here date way back, with some being almost as old as the flea market itself. Make sure to haggle a bit as some of the vendors ask way too much for what they’re selling. 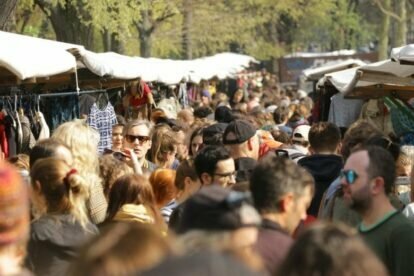 A flea market full of history, Encants de Barcelona has aged over 750 years since its first appearance. The special event to look out for when visiting this one is the auction system that they have going on every Monday, Wednesday, and Friday from 07:00 to 09:00. Apparently, it’s the only flea market to make use of this system nowadays. The estimated amount of weekly visitors reaches 100.000 and one of those could be you! Midnight Bazar is a great place for vintage hunting in Munich. It usually opens at 17:00 and after paying a small entrance fee, tons of cool stuff, clothes, vinyl, and bits and bobs are waiting for you. Additionally, you can buy some snacks and drinks at one of the stands to get some extra bargaining energy. Whatever you’re looking for, chances are you’ll find it at the Zemun flea market. Vendors come all the way from Macedonia to sell their stuff here. From electrical appliances to homemade wedding videos: you’re covered. It’s only open on Sundays from 6 to 10 AM, so get up early and buy some bargains. 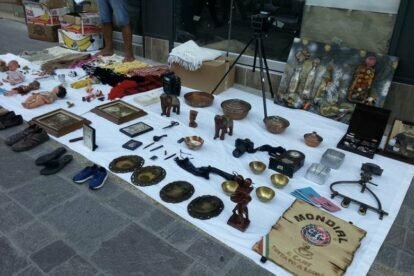 With all the history that the city of Rome carries with it, it’s not surprising that you’ll stumble upon some great flea markets. Porta Portese is the biggest one and you should be prepared to get lost. But what’s not to love about getting lost between vintage Italian dresses, old cameras, and books that have already traveled half the world to get there? 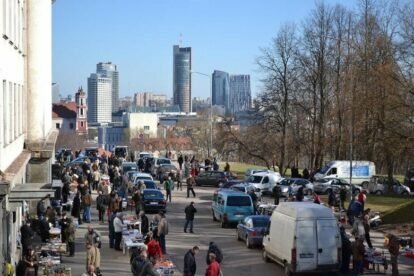 Being the biggest of the flea markets in Vilnius, you can expect to see quite a lot of people at Tauras every Saturday. Even when it’s raining or snowing. It’s important to know the timing to get here; as mentioned by Marek, 08:00 is still early but when it gets to 10:00 you might just be too late. Even though you’ll see loads of clothing items for sale, things ranging from coins and bills to porcelain figures are also sold here! The Pazari Rakosyllekton flea market in Athens is never the same. Depending on what the sellers can find that week, you’ll get a very different experience. Still, it’s always worth a visit and you’re sure to find some great bargains. If you search long enough.